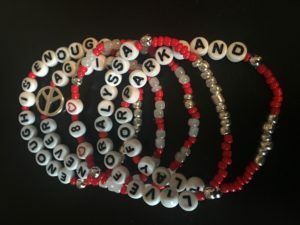 Alyssa’s Law Clears Senate Budget Committee! While I’m sure the amendments by the Education Committee were well-intentioned, unfortunately, they contained language that could prevent school districts from choosing certain technology-based panic alarms. Keep NJ Safe sent emails and testimony to the bill’s sponsors, and the members of the Senate Budget & Appropriations Committee, objecting to the language, and expressing concern about the bill now being overly restrictive. At the hearing on June 4th, Senator Oroho also raised similar concerns about possible limitations being placed on certain types of panic alarm technology. Unfortunately, the audio recording is incomplete from that hearing, and cuts out just as Alyssa’s Law is being heard. By the time the audio comes back, the Committee had held Alyssa’s Law and moved on to a different bill. For that reason–and because we believe so strongly that school districts deserve to have ALL possible options open to them as they choose the type of panic alarm that suits their safety needs–we decided to leave nothing to chance, and make the 170-mile round trip to Trenton today to testify on the bill in person. — Schools who have already installed a panic alarm system or equipped themselves with an “alternative mechanism” can request that the costs associated with the system be reimbursed. So….it appears that, as long as the NJ Department of Education sees fit to approve App-based panic alarm technology as an “alternative mechanism,” the bill is now exactly where we wanted it to be. Success! The Committee released the bill unanimously, which means it can now proceed to the Senate for a full vote, and back to the Assembly for the concurrence (so that the Assembly has an opportunity to approve the changes that were made to the bill since A-764 first passed). It was a long, Manic Monday: the Statehouse parking garage was full when we arrived, so we had to park nearly half a mile away; the committee hearing started nearly an hour late; our bill was bumped all the way to the end of the meeting agenda; and the traffic coming home really awful–but in the end, it was a great day for supporters of Alyssa’s Law, and the minor trials and tribulations were most definitely worth it. They way everything just fell into place, I truly felt like Alyssa was with us today. We’ll send out another update when we have confirmation of the bill coming up for a vote. Stay tuned!